Thanks for the feature in "Anaglyph Art" Ramon! 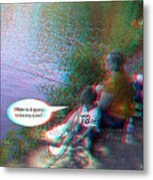 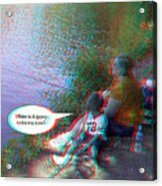 3D stereo anaglyph and speech bubble image of mom and son at Lake Waterford Park in Pasadena Maryland. 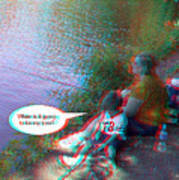 Red/Cyan filtered 3D glasses required for viewing the 3D effect.